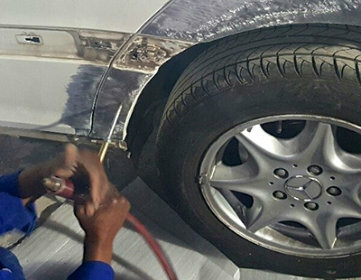 Fix dents faster with DENT PRO – The Portable Dent Puller. 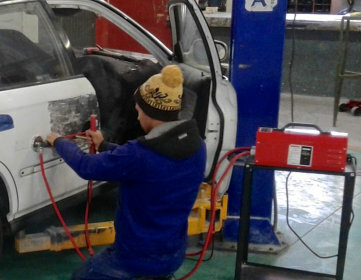 An innovative 100% South African designed and manufactured dent-pulling unit. The Dent Puller is a low cost, top quality product. It is extremely easy to use and very effective at removing small to medium sized panel damage. The unit weighs only 15kg making it very portable in any workshop. Its small dimensions and lightweight make the Dent Pro unique in its class. 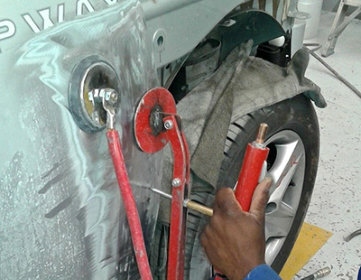 The Dent Pro is the only South African manufactured Dent Puller on the market. These rugged machines have proven themselves in hundreds of panel shops across South Africa and are the best selling machines of their type in this country. The sturdy construction and cost effective design has made this tool essential to the modern panel shop. 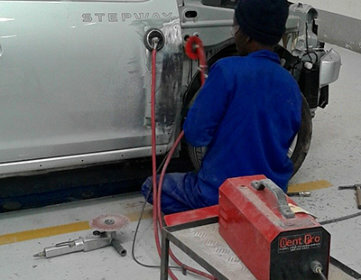 Dent Pro is a portable dent puller designed and manufactured in South Africa and an indispensable tool in hundreds of Auto body repair shops in Southern Africa. This very reliable machine is light weight, portable and works off 220 V power. It helps workshops to save time and money by getting work done faster.